President Donald Trump listens in the Diplomatic Reception Room of the White House Monday, a day after his attorney general released a summary of a special counsel investigation concluding that neither Trump nor his campaign cooperated with Russian interference in the 2016 election. WASHINGTON — The nearly two-year investigation into Russian election interference and the Trump campaign is over. The battle over its conclusions, however, is only just beginning. On Monday, the issue moved definitively from the circumspect world of law enforcement to the political realm as President Donald Trump and congressional Democrats and Republicans wrestled over the result, the many remaining questions, and the wisdom of the investigation itself, with the 2020 election looming. The dueling reactions and promises for more hearings and investigations from both parties foreshadowed another familiar round of competing narratives and partisan debate over a significant new element in the brewing presidential race. As Democrats and legal experts argued that there is much more to the Mueller investigation that must come to light before reaching firm conclusions, Trump and his allies sought recriminations against top Democrats and the news media. 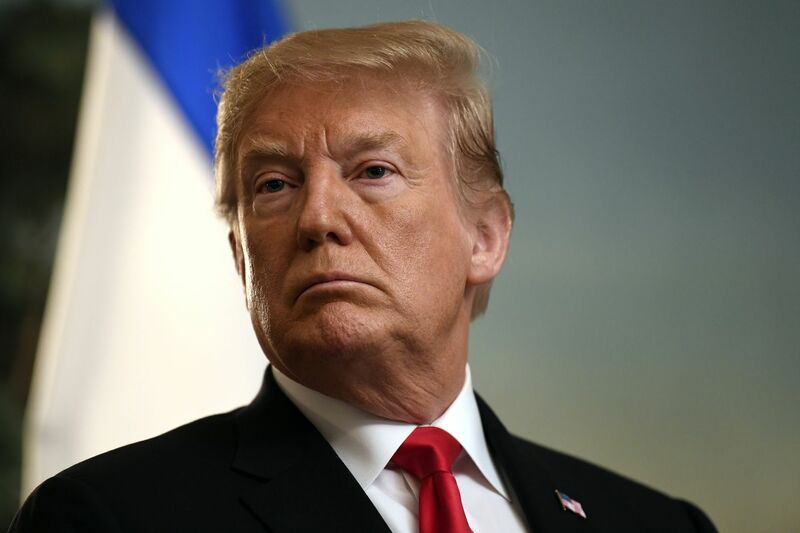 The president claimed total victory after Attorney General William P. Barr wrote that special counsel Robert Mueller found no coordination among Trump, his campaign, and Russia during Moscow’s attempts to influence the 2016 election. Graham, the chairman of the Senate Judiciary Committee, also called for a new special counsel investigation into the origins of the Mueller inquiry and FBI surveillance of the Trump campaign. And in a twist that only further buoyed Trump, one of his most public antagonists, attorney Michael Avenatti, was indicted in California and New York in two cases charging him with embezzling from clients and trying to extort athletic giant Nike for $20 million. Democrats were left facing a newly aggressive president and a memo that has given him a powerful talking point in his argument that he has been treated unfairly. Barr’s conclusions seemed likely to all but end any significant efforts to impeach Trump. Yet top House Democrats made clear that they were not satisfied with Barr’s four-page summary of a two-year investigation. The heads of the House Judiciary, Oversight and Intelligence Committees asked how the attorney general appointed by Trump had concluded that the president had not obstructed justice even after Mueller left that issue unresolved. What evidence had Mueller seen that suggested potential obstruction? Even if it didn’t rise to the level of a crime, what had Trump done? More hearings were a certainty: The judiciary chairs in the Democrat-controlled House and GOP-led Senate both said they expected Barr to testify about his findings and the report, though the House Intelligence Committee postponed a planned hearing this week with a Trump associate who had worked on a Trump Tower project in Moscow. Leaders in both parties also called for Mueller’s report to be made public, so that lawmakers and voters can evaluate Barr’s conclusion and see what the special counsel uncovered in the course of an investigation that involved more than 2,800 subpoenas, nearly 500 search warrants, and around 500 witness interviews. Legal experts stressed that even if Trump did not commit a crime, Mueller may still have uncovered facts that are unflattering or of public interest. While saying it’s critical to see the facts behind Barr’s conclusion, Eliason said it was significant that Deputy Attorney General Rod Rosenstein supported the conclusion against obstruction of justice charges. Rosenstein has frequently stood up to Trump and tried to protect the Mueller investigation from presidential interference. Claire Finkelstein, director of the Center for Ethics and the Rule of Law at the University of Pennsylvania Law School, argued that if there is significant evidence of obstruction, it could throw the conclusions about coordination with Russia into doubt. “We can’t actually rely on the finding that there was no conspiracy until we have a more considered judgment of whether or not the president’s actions interfered with the investigation,” Finkelstein said. Trump also has to contend with other federal and state prosecutors who have dug into his business practices, campaign finances and inaugural committee. For now, however, as Democrats await for more information about Mueller’s findings, they were left to weigh how aggressively they will continue to investigate. While some argued that Congress has a broader mandate than Mueller, and a duty to find information that might not rise to the level of a crime, some political analysts warned that investigations can backfire, especially if the public views them as overly partisan. Democrats’ best opportunity for ousting Trump remains the 2020 election, when they will need public opinion on their side. For Democratic candidates, the Barr letter may add to arguments that they need to make their cases based on voters’ everyday economic interests, not Trump’s behavior. Graham reminded Democrats of the GOP investigations into former President Bill Clinton, which ended with Clinton rising in popularity and reelected. It was still unclear Monday when any finality would arrive.